Stay tuned for all the latest developments, election results and reactions as Macedonia goes to the polls to elect a new government amid a deep political crisis. The ruling VMRO DPMNE party has also pronounced victory in the 2016 general elections, claiming that they have a lead of about 20,000 votes across Macedonia. "Every victory matters," Vlatko Gjorcev from VMRO DPMNE said at a press conference. Officials from the ruling VMRO DPMNE party are holding a celebration in the party headquarters in Skopje. Meanwhile, the opposition Social Democrats are also claiming victory in the polls with their supporters already celebrating on the streets. Official results have yet to be announced. 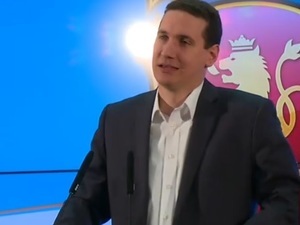 Vlatko Gjorcev, an MP from the ruling VMRO DPMNE party, has called their supporters to celebrate what they claim is an election victory at the main squares across Macedonian cities. This could lead to a potentially dangerous situation as opposition Social Democrat supporters are already celebrating in front of the government building in Skopje, just several hundred metres from the main square. The election results have still not been announced, but both sides are claiming a narrow victory. 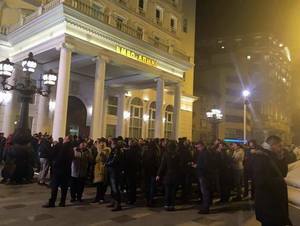 Based on the opposition Social Democrats projections “from the counted 96 per cent of the votes, it is clear that the regime is falling tonight,” Democrat Stevo Pendarovski told Telma TV while celebrating together with supporters in front of the government building in Skopje. We have nothing to wait for and we deserve to celebrate,” he said. The official results of the election are yet to be announced, but both parties are claiming narrow victories. The opposition Social Democrats leader, Zoran Zaev, told his cheering supporters in front of the government building in Skopje that the opposition is currently leading over the ruling VMRO DPMNE by one MP, according to its projections. “We are waiting for the [official] results, but the trends can only go up. They cannot fall,” Zaev said. The surprise in the Albanian bloc is the strong showing of the newly formed BESA party, which came very close to the junior ruling party, the Democratic Union for Integration. Preliminary incomplete results suggest the DUI has won 7.33 per cent of the total vote, while BESA won 4.48 per cent. Some projections show that this translates to eight or nine MPs for the DUI and at least five for BESA in the 123-seat parliament. By so doing, BESA has totally wiped out the Democratic Party of Albanians, DPA, traditionally one of the four biggest parties in Macedonia. The DPA won only 2.58 per cent of the votes which would translate into 2 MPs, preliminary data from the State Electoral Commission show. The third Albanian opposition bloc led by DPA -Movement for Reforms won 2,92 per cent which may translate into three MPs. Despite a call from the ruling VMRO DPMNE party for its supporters to come out and celebrate what it claims was another election victory in the main squares of cities, the main square in Skopje remains empty as supporters of the party are still in front of the party’s HQ. 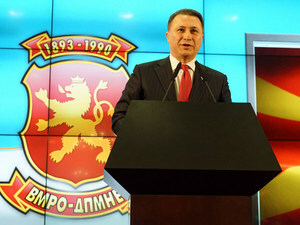 The head of the main ruling VMRO DPMNE party, Nikola Gruevski, in a speech this evening claimed victory for his party. “Of 88.61 per cent of the processed votes, VMRO DPMNE won 434,000 votes, opposed to 415,000 votes for the SDMS. This makes VMRO DPMNE the winner at these elections. This is the tenth victory for the party. Both main political parties are celebrating narrow election victory in Macedonia tonight while the public still awaits the official results from the State Electoral Commission. While the main ruling VMRO DPMNE claims it has a slight lead of some 20,000 votes across the country, the opposition Social Democrats, SDSM, has already come out celebrating in front of the government HQ in Skopje, insisting it won one or possibly two more seats than their bitter rivals. The incomplete results from the State Electoral Commission show a tight race. Of 88.76 per cent of counted votes, the ruling VMRO DPMNE party has won 388,761 votes or 38.36 per cent while the Social Democrats won 368,144 votes or 36.33 per cent. Macedonia’s State Electoral Commission, DIK, stated in the early hours of Monday morning that it will have a projection during the day of the number of MPs each party will receive from Sunday's general election. At present, it is not clear how many seats in the 123-seat parliament the ruling VMRO DPMNE party and the opposition Social Democrats, SDSM, will take, as the election is living up to expectations of being one of the closest in the country’s democratic history. However, after the DIK has counted 99.72 per cent of the votes, VMRO DPMNE has won 452,709 while the SDSM has received 436,469. This translates to 38.06 per cent of the vote for the ruling party and 36.69 per cent for the opposition, but it remains unclear whether this will give one party more seats in parliament or not. Macedonian police have apprehended 18 people suspected of election irregularities on and prior to Sunday's voting and has filed seven criminal charges, the Interior Ministry told media today. Police say they are currently collecting more evidence against the 18 suspects, after which more charges may follow. Under Macedonia’s criminal law, participation in election irregularities warrants a sentence of at least three years in prison. The vice-president of the opposition Social Democrats, Damjan Mancevski, asked voters on Monday to wait patiently until the end of the day for the State Electoral Commission to announce the final results of the elections and the exact number of parliamentary seats each party won. "All options are open. You can witness yourself that barely anyone dares to predict the number of MPs, because the difference [in votes] is too small,” Mancevski said. “We are collecting the records from the ground [polling stations] and there can be changes in the numbers." Asked whether the opposition interior and social affair ministers in the country’s interim government, formed to carry out elections, would pull out immediately once the results were announced, he again asked for patience. Once the results of Macedonia’s 2016 general elections are announced – expected to be later today - the country’s constitution stipulates that a constitutive session of the new parliament should be held within 20 days. The Constitution gives an additional 30 days for the new government to be formed. The State Electoral Commission, DIK, is expected to publish the final results of Sunday’s election at 7pm today. 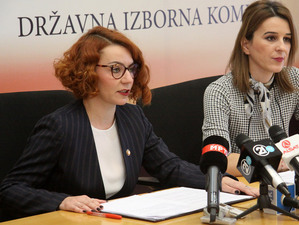 The DIK spokesperson, Ljupka Gugucevska, told Radio Free Europe that they are currently receiving the original reports from polling stations across the country, which they will then verify. Meanwhile, A1 On news portal cited unnamed sources on Monday as saying that the reason for the delay may be because of suspicions that false data was submitted. The sources allege that some municipal electoral commissions have sent fake data to the DIK headquarters, and claim that an incident of this has already been discovered in one municipal commission where the opposition allegedly won more votes but they were falsely attributed to the ruling party. The State Electoral Commission, DIK, remains under strong pressure to present the final results from Sunday's general elections and to clarify the exact number of MPs each party won, after it failed to do so by 7pm as it originally announced. In the absence of final results from the tight election race, which is too close to call at present, the main ruling VMRO DPMNE party and the opposition Social Democrats, SDSM, have been spreading contradictory outcomes. Those close to the ruling party fear that the DIK might be under pressure from unnamed foreign embassies to alter the election result in favour of the opposition. Meanwhile, the opposition fears that their own election victory might be foiled because of accusations that it had been discovered that fake voting results were sent to the DIK from the municipal electoral commissions that do not match the true outcome of the voting. Some media has cite unnamed sources from DIK as saying that around 34,000 ballot papers, most of which favour the opposition, were pronounced invalid, but pro-government media claim the same, insisting that the papers that are alleged to have been compromised were mostly favouring the ruling party. The main ruling VMRO DPMNE party has won 51 seats in parliament while the main opposition Social Democrats, SDSM, has won 49 MPs in the 123-seat parliament, the State Electoral Commission, DIK announced at a press conference on Monday evening. The junior ruling Democratic Union for Integration, DUI, has won 10 seats, while the Albanian opposition BESA party has won 5, said the head of DIK, Aleksandar Cicakovski. The opposition Alliance for Albanians has won 3 seats in the parliament, while the opposition Democratic Party of Albanians will get MPs from the elections. These are the preliminary election results, as the DIK said, based on the original voting submitted for counting. The parliament should have 123 seats, with three additional MPs coming from the votes cast abroad. However, these seats will remain empty due to the low turnout in the diaspora. "We look forward to a swift formation of the new parliament and of the new government and to the implementation of reforms to address systemic rule of law issues, also through the Urgent Reform Priorities", said European Commission's High Representative/Vice-President Federica Mogherini and Enlargement Commissioner Johannes Hahn in a joint statement. They added that the,"Government and opposition need to continue implementing previous political agreements in full, including supporting the work of the Special Prosecutor’s Office." Vlatko Gjorcev from the ruling VMRO DPMNE pronounced his party’s election victory last night after the State Electoral Commission, DIK, revealed that the party won 51 MPs, two more than the opposition Social Democrats, SDSM. He said that their leader, Nikola Gruevski, will now be the one who tries to form the new government. The leader of the newly formed Albanian BESA party, Bilal Kasami, announced his preference for a technical government backed by all of the main political players to be formed after the two main parties almost tied in Macedonia’s general election on Sunday. Kasami stated this in an interview with NOVA TV after his party won 5 MPs in the 120-seat parliament. The head of the main ruling VMRO DPMNE, Nikola Gruevski, pledged to focus on overcoming the "hatred that the opposition instilled among the citizens" in a public address after the State Electoral Commission, DIK, revealed his party had won 51 MPs, two more than the opposition Social Democrats, SDSM. "We will be focused on overcoming the political gap between the citizens," Gruevski said, adding that if he forms the new government he will also work on fulfilling his election promises aimed at making Macedonia more prosperous. 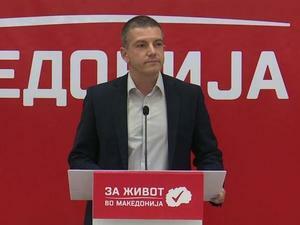 He also noted that “for DUI, entering such a government would be a damaging political move, as the party already paid dearly in the elections for its unconditioned alliance with VMRO DPMNE", adding that if the party decides to stick with VMRO DPMNE, it could result in yet another decimation of the party's rating at the forthcoming local election, slated for May next year. 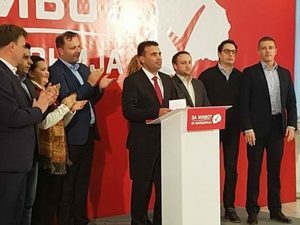 Some 600 votes would have made a difference to the election results for the ruling VMRO DPMNE party and the opposition Social Democrats, SDSM, in Macedonia’s general election, the Fokus weekly claimed on Tuesday, citing political party estimates and unnamed sources from the State Electoral Commission, DIK. In the second electoral district, Fokus claims that some 300 more votes for the Albanian opposition BESA party would resulted in VMRO DPMNE getting one less seat in parliament. The same applies for the sixth electoral district, where 300 more votes for the opposition would have given them one more MP. If these two events occurred, the election outcome would have shifted from 51-49 MPs in favour of the ruling party to 50-49 in favour of the opposition, Fokus reported. It also claimed that SDSM is expected to file complaints in the second and sixth electoral districts, which, if accepted, could result in voting being repeated. The main opposition Social Democrats party, SDSM, insisted that the final outcome of Macedonia’s election remains uncertain on Tuesday following the State Electoral Commission’s projections released on Monday evening showing that the ruling VMRO DPMNE had won more seats in parliament. "The published preliminary unofficial results by the DIK show uncertainty about the number of won MPs. A small number of votes are decisive for the number of MPs in several electoral units," the SDSM wrote in a press release published on Tuesday. "The citizen's will for life, justice and freedom was realised amid many irregularities and pressures in the pre-election period," the opposition added. The leader of the ruling VMRO DPMNE, Nikola Gruevski, must not form a government, Zoran Zaev, the head of the main opposition Social Democrats, SDSM, told a press conference on Tuesday. The opposition leader sent a message to all other political parties urging them not to consider forming a coalition with the main ruling VMRO DPMNE party, led by Gruevski, as this would negate the "clear will of the people". 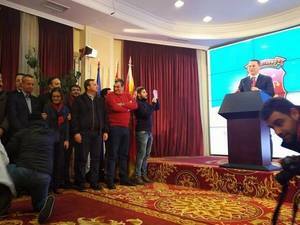 "Nikola Gruevski must not form a government,” Zaev stated. “The preliminary unofficial results have confused the people. The final results are yet to come. If some of these numbers are corrected, SDSM will have more MPs in the sixth electoral unit and thus, the result may be 50-50 MPs [both for the ruling party and for the opposition]." He added that the party will file formal complaints to the State Electoral Commission, DIK, on the election results in some areas. 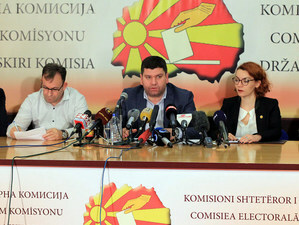 After Macedonia’s State Electoral Commission announced that its preliminary results from Sunday’s election had shown that the ruling VMRO DPMNE party had narrowly won the election, the opposition Social Democrats have refused to accept their opponent’s apparent victory, claiming that irregularities occurred prior to and during the vote, AFP reported on Tuesday. The opposition Democrats claim that these alleged irregularities "influenced the final result of the vote." 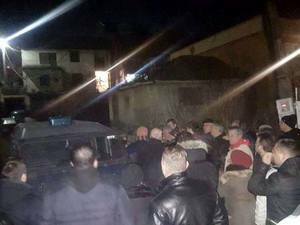 Political tensions were running high tonight in the northern Macedonian town of Kumanovo where special police units entered the home of local police chief Stojance Velickovic, reportedly in search of alleged evidence of election rigging. Tensions culminated when local residents and opposition supporters gathered in front of Velickovic's house in his defence, before he came out to assure the people by saying that he would not be getting arrested. 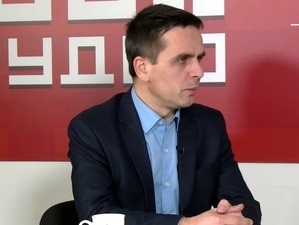 However, Velickovic, who was appointed by the now outgoing interim Interior Minister Oliver Spasovski, who comes from the ranks of the opposition, suspected that the whole thing was a political setup organised by the ruling VMRO DPMNE party.